Showing 3 articles from September 16, 2016. HENDERSON-Alridge Edward Woodlief, 55, a resident of 466 Buckskin Lane, died Friday, Sept. 16, 2016 at his home. Funeral services will be held Sunday, Sept. 18, at 3 p.m. at Victory Baptist Church by the Rev. Ricky Easter. Burial will follow in the Union Chapel United Methodist Church Cemetery. 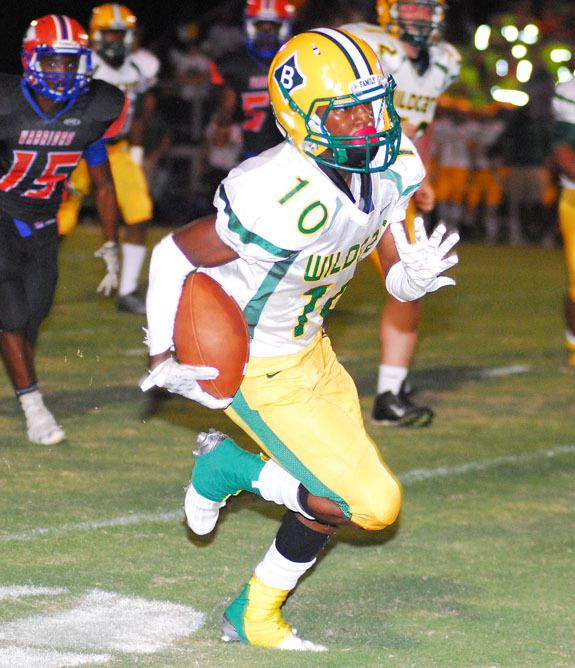 LOUISBURG -- It's almost impossible for a team to lose when it scores a touchdown on every possession -- an astounding mark the Bunn Wildcats achieved during Friday's road grudge match against the Louisburg Warriors. OXFORD -- Earlier in the week, Franklinton football coach JeVar Bransome discussed the importance of a quick bounceback performance following last Friday's disappointing home loss to Tarboro. Consider it done as the Red Rams took the lead by scoring on their first two series and never looking back on their way to a 30-6 decision Friday night at non-conference opponent Oxford Webb.